Are you interested in participating in research? 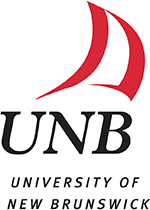 The Routinify team, in collaboration with the University of New Brunswick and Loch Lomond Villa, are conducting a study to see how the WellAssist system may help those living independently who need some extra support at home. We are also interested to know how it may help caregivers. The study involves using the WellAssist program in your home for up to a year. The system will be provided to you free of charge. In order for you to participate in this study, you’ll be asked to sign a consent form and let one of the members of our team help set this up in your home. You will also be asked to use the program. We will ask questions about your health, routines, and demographic information at several different times. We will make sure to protect your private information. Finally, you will be asked to let us access health care information (like Dr.’s visits) using your medicare number. This study is being conducted by Routinify, the University of New Brunswick, and Loch Lomond Villa. 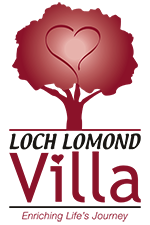 It is funded by a grant from the Center for Aging and Brain Health Innovation and the New Brunswick Health Research Foundation. People who are eligible to participate include older adults living independently in the greater Saint John area who would benefit from extra support at home and their caregivers. People living outside of the greater Saint John area may also be eligible to participate. Contact the study team to see if you are eligible! The study will be taking place for up to one year starting in January of 2019. Interested in hearing more? You can contact the study team today to hear more about the project and determine if participation is right for you or a loved one. The research team will answer your questions and give you all the information you need to make a decision about research participation. Complete the "learn more" form below and one of our experts will connect with you.